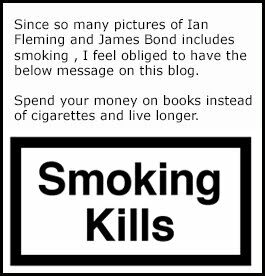 James Bond - The Secret Agent: Daniel Craig has something to tell you! I received an email the other day from a representative at Omaze in the US that I was not able to turn down even if it has nothing to with the James Bond books. It is simply just a very great cause. Omaze is a company that arrange once in a lifetime experience's for the common people using celebrities. People like you and me are offered to donate money to charity with a chance to meet that famous person that we so much adore. And for the second time they are using Daniel Craig since he is the United Nations advocate and helps them reach out with their work. This time the profits will go to the United Nations Mine Action Service (UNMAS). Their task is to work with affected states to reduce the threat and impact of landmines and other explosive hazards. UNMAS coordinates UN interventions to focus on areas of greatest need and to provide education and assistance to people caught up in conflicts. Currently UNMAS works in 18 countries and territories around the world to both save and rebuild lives. If you donate money you will have a chance to meet Daniel Craig and and he will give you the keys to an Aston Martin Vantage GT Roadster. The more you donate the bigger will your chance to win become. And below you can see the commercial that he made with Omaze for this contest. PS. And to make it clear. I myself is 100% sure that Daniel Craig will be back as 007. As both the producer and actor of SPECTRE he received a bus load of cash. EON Productions and MGM knows how bankable Craig is and therefore they will give him a breather before the next film and yet another truckload of cash to come onboard again. Best of luck in the contest. Get back to me if you win and lets make a blog post about it!